Not ITSM, just SM. Everything you need, in 50 pages. (we dropped the Copper Service idea - too distracting/confusing. We had a discussion on naming it - please make name-related comments there). Submitted by dkhoruzhenko (not verified) on Tue, 2010-06-01 10:26. What is about government sector ? Are they providing us with services ? Submitted by skeptic on Tue, 2010-06-01 10:50.
yes in some countries the government provides service :) In NZ they even try to improve, unlike say the USA's IRS which I have had the misfortune to engage with a couple of times. Having to do so every year is a likely explanation for the USA's affection for guns. Submitted by JamesFinister on Tue, 2010-06-01 13:31. Submitted by ianclayton on Thu, 2010-07-22 19:41. How can I help via USMBOK Initiative? Submitted by dkhoruzhenko (not verified) on Wed, 2010-06-02 12:32. 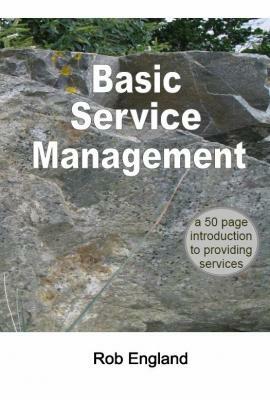 "This book is about how to run services, in any organisation, in any industry." "Whether you are in any industry: manufacturing, trades, retail, IT, not-for-profit…"
The Question is:" ..." <- government sector included ? Are you feel you're ready to write a book, which explains how to run public services from goverment's point of view ? E.G. in Russia goverment decided to open Service portal www.gosuslugi.ru in order to provide some public services over Internet. Submitted by skeptic on Wed, 2010-06-02 20:01. Submitted by JamesFinister on Wed, 2010-06-02 20:39. "Reinventing Government" I can't remember the authors despite going to a briefing with one of them but their ideas inspired Clinton's approach, and, oddly, Thatcher's. Submitted by JamesFinister on Wed, 2010-06-02 20:42. OK, that is three times you used the term "core", are you sure you don't want to borrow Core ITSM as a title? I can't help feeling there is a big difference in meaning between basic and core. Submitted by CyberJMC66 on Mon, 2010-08-16 21:41.